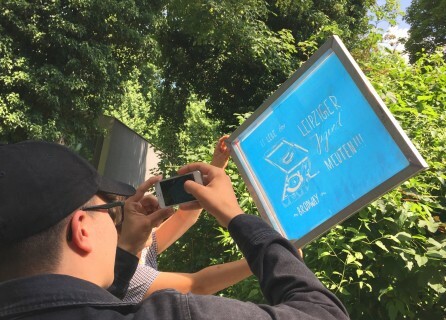 From January until June 2018, students from Brandis (in the region of Leipzig) explored the history of the so called “Leipziger Meuten” – a youth group during the times of National Socialism wanting to distance themselves from the “Hitlerjugend” (engl: hitler youth). The project was called “Tired of … ! – Rebellious youth during NS”. The fact that there was a group of young people during the dictatorship between 1933 – 1945 that acted offensive against the hitler youth, is an interesting but also not well known phenomenon. The “Leipziger Meuten” had their own codes in clothing, their own “lifestyle”. During a lector by the historian Sascha Lange and in following workshops, the participants of the project dealt with the occurance, effect and the way of thinking of the “Meuten” (engl: packs) as a youth culture. It became clear that it took great courage to position oneself openly against an organisation such as the hitler youth or even to decide independently how to spend ones freetime. The participants of the project discovered that many places close to their own homes had been a free space for non-adjusting young people. Places where friendship, love and self-determination apart from the world of the adults was possible – such a place was for instace the “Lübschützer Teiche”. 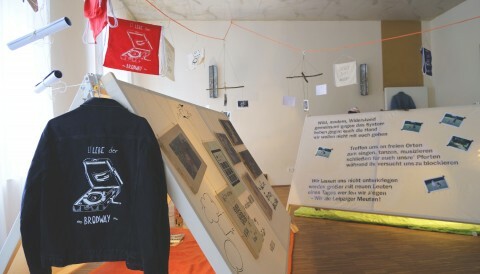 With the means of a play that was developed by the art mediators of the GfZK (engl: Gallery of Contemporary Arts), the teenagers learned what the place meant for the rebellious youth. The play inspired to ask and to discuss questions that were and still are relevant in the lifes of young people. In the following workshops the art mediators accompanied the participants of the workshop in their artistic interaction with the history of the opposing youth groups with universal questions of adolescents and the search for the right place in the world. Parallel to their own process of research, the participants learned ways of working creatively and the possibilities of artistic expression in the exhibition “Gaudiopolis – attmept of a good society”. 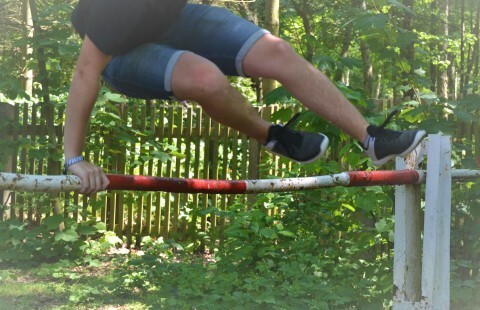 The students presented their results of the project in june 2018 in the “Parkschlösschen Brandis”. Other exhibition places are the “Naturfreundehaus” in Grethen and “Der Laden” in Wurzen. Am 12. Oktober eröffnen wir die Ausstellung “Kein Bock auf…! Rebellische Jugendliche im NS”, die im gleichnamigen Projekt entstanden ist.